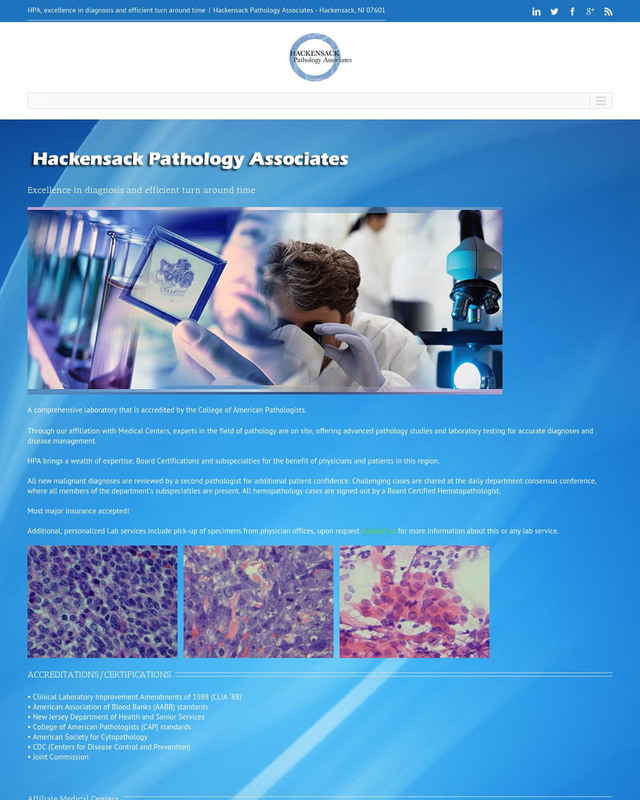 Hackensack Pathology Associates (HPA) is a full-service laboratory providing testing service 24 hours/day, seven days/week. Over 5,000,000 clinical and anatomical pathology patient procedures are performed each year. HPA provides quality anatomical and clinical services that are fundamental to the diagnosis of disease and the evaluation of treatment. As an integral component of a major teaching institution, we provide educational opportunities to the community, to our own staff, and actively participate in the ongoing education of attending physicians, members of the house staff, nursing service, allied health professionals, and other hospital personnel. We participate in various research projects approved by the Medical Center’s Institutional Review Board.